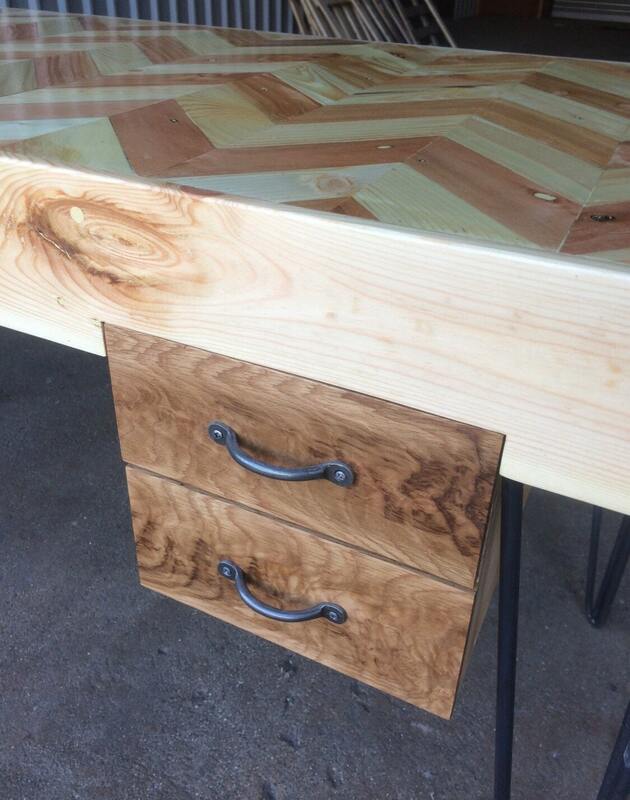 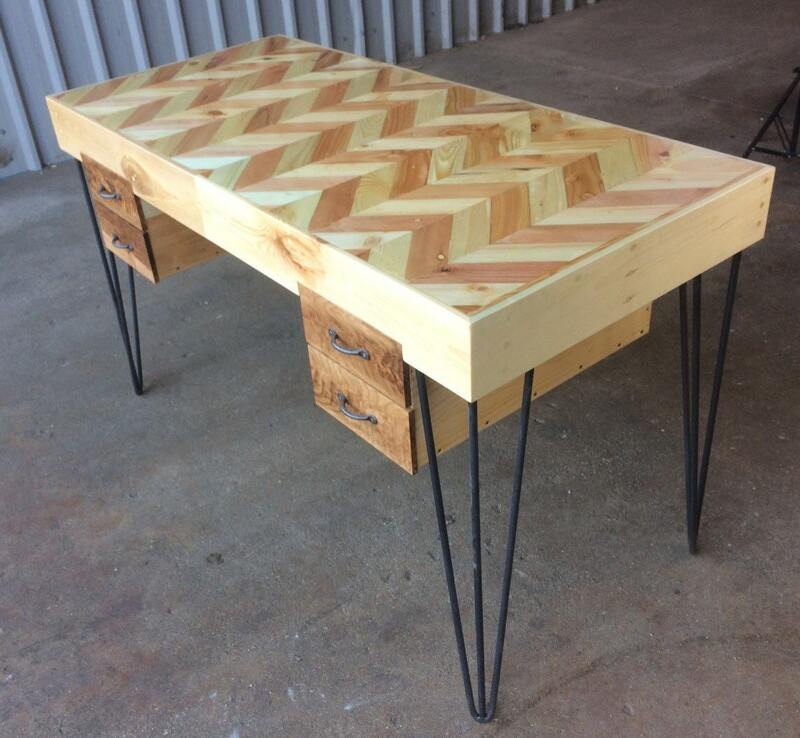 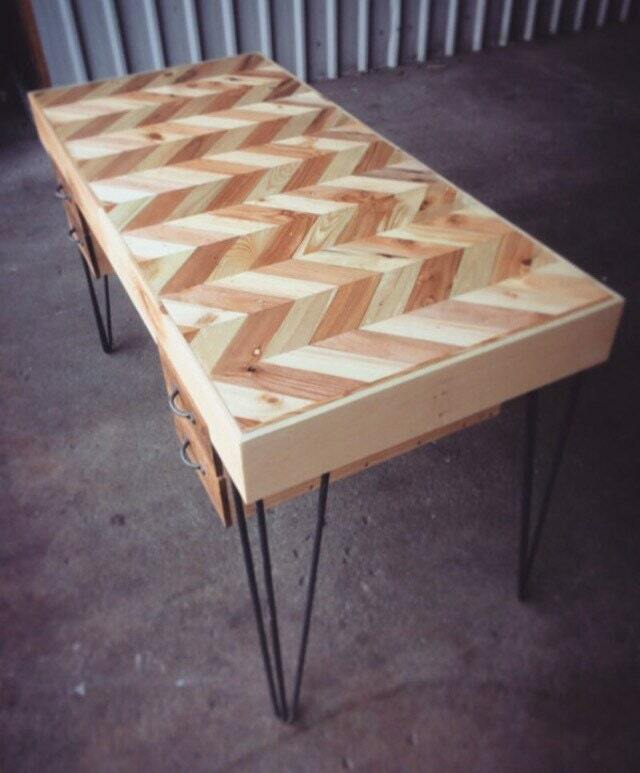 This Desk is handmade from reclaimed wood in a herringbone pattern and comes with four metal hairpin legs. 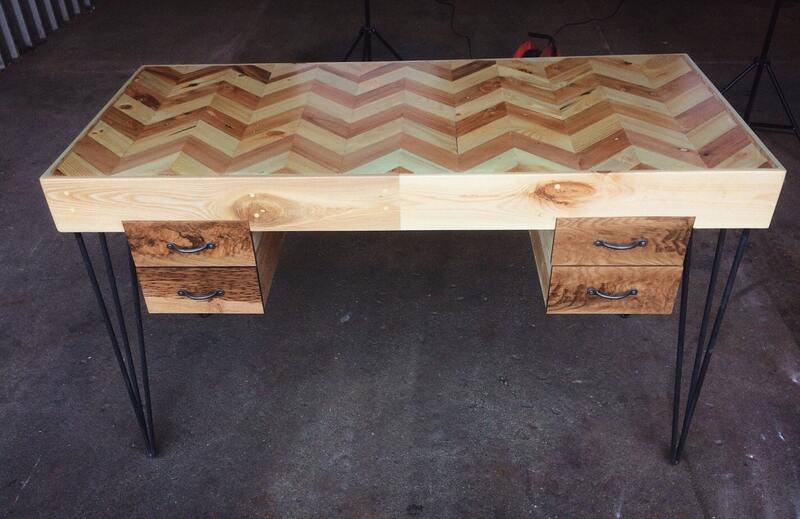 The desk is ideal for use in a study/office or to be used in a living area of your home. 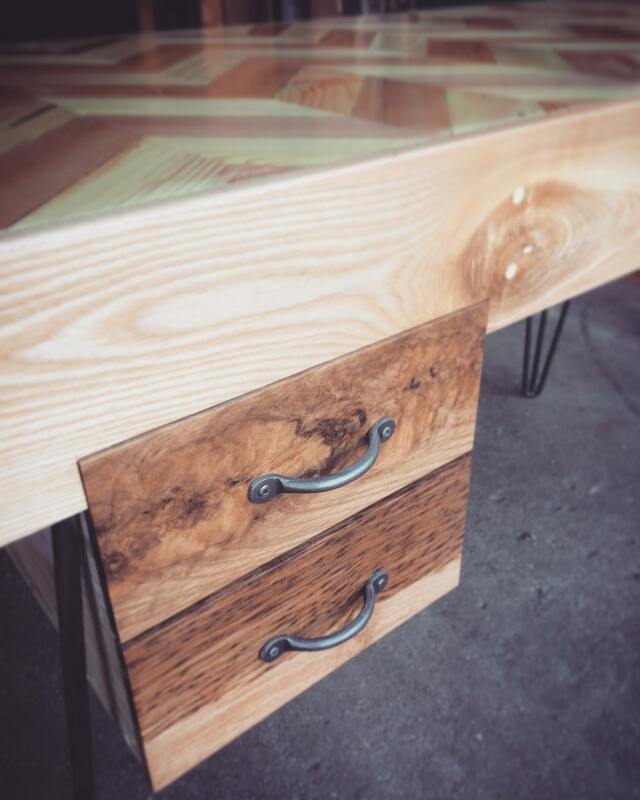 The drawer fronts are made from wonderful, hand selected pieces of reclaimed Oak.